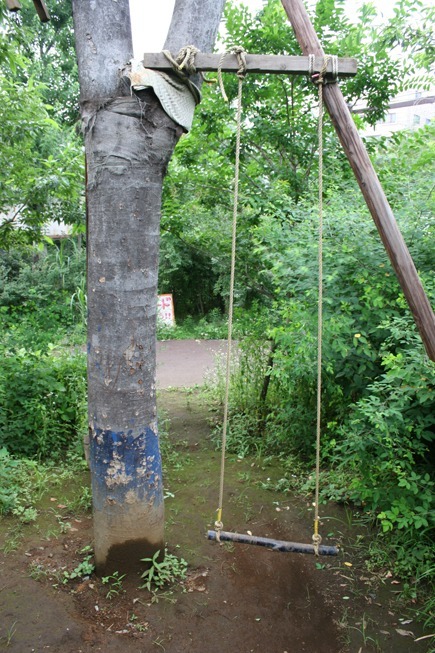 Rope swing, Yume Park Kawasaki, Tokyo. Yume Park is a sprawling adventure playground that takes Free Play to its fullest potential. It contains many large child-built structures, small rice fields, tunnels, rooftop play areas and woodland camps and treehouses.